Heinrich Böll was one of the most significant writers in post-war Germany. In this chronicle we remind of his life, his writings and political interventions. His courageous and unerring intervention influenced political culture in Germany. 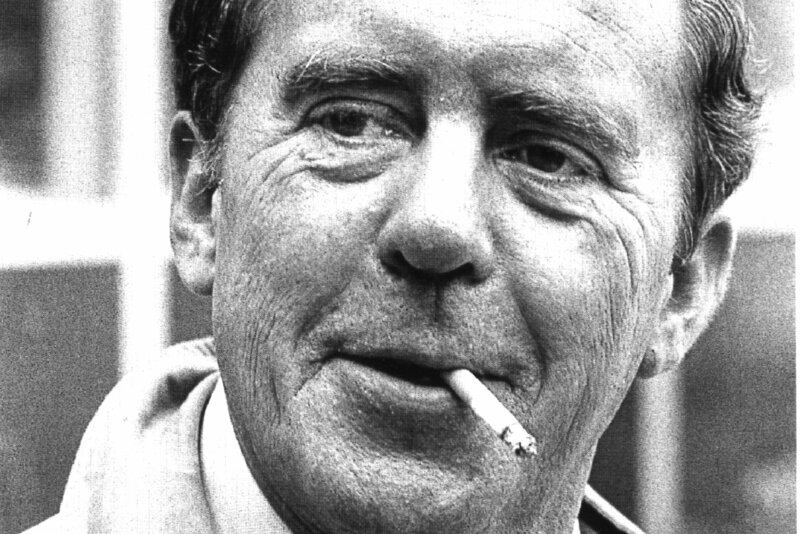 Throughout his life, Heinrich Böll transcended ideological boundaries in his committed support of persecuted colleagues, civil rights activists, and political prisoners; this once earned him the mocking title of "Warden of the Dissident Wayfarers" in an East German magazine. His books and essays portray the first 40 years of German democracy following the Nazi dictatorship. In the following chronicle we recall an important an still up-to-date artist and intellectual. 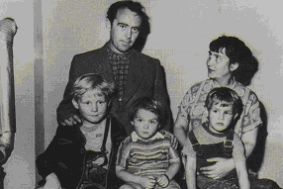 Heinrich Böll, the sixth child of Viktor Böll, master carpenter and woodcarver, and his wife Maria, is born in Cologne on 21 December, when wartime hunger is at its worst. The family moves from the southern part of the old city to the more outlying district of Raderberg. Heinrich attends elementary school in Köln-Raderthal. The great depression leads to the collapse of the small bank for craftsmen in which Viktor Böll had invested. The Bölls have to sell their house in Raderberg and move back to the southern part of central Cologne. In the years that follow they are not much better off then the rest of the three million unemployed. Visits to pawnbrokers, bailiffs on the doorstep, and the seizure of household goods become part of everyday life. On 30 January, 1933 Hitler is appointed Chancellor and Nazi terror spreads in Cologne, too. The Böll family discusses political events frequently and openly. On Hitler's election, Heinrich's mother says, "This means war!" Dated manuscripts in Böll's literary estate such as short stories and poems show that he started writing in 1936. Heinrich passes his A levels (Abitur) and begins an apprenticeship with the bookseller Math. Lemperz in Bonn, however giving notice after only a short period. 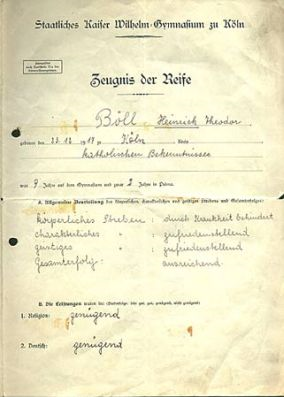 Böll is called up for "Reich Labour Service" (Reichsarbeitsdienst). In April, Böll enrols at Cologne University. In autumn, with the outbreak of WW II, he is called up for military service. Böll is stationed at an army training camp in Osnabrück (until May 1940); in Poland (May and June 1940); in France (June to September 1940); in Germany (September 1940 to May 1942); again in France (May 1942 to October 1943); in Russia, the Crimea and Odessa (October 1943 to February 1944); finally at various places in Germany until taken prisoner in April 1945. During the war years, he writes almost daily letters to his family and to his fiancée Annemarie Cech, whom he marries in 1942. In 1944 his mother dies of a heart attack, following an air raid. Throughout the war, Böll who did not want to be promoted to officer rank, avoided active service as much as possible. At first he put in applications to obtain leave to study; later he reported sick or forged leave passes; he was wounded four times. Heinrich Böll lives through the end of the war in the Rhineland where he temporarily deserts and goes into hiding with his wife. Then, fearing to be picked up as a deserter and being court-martialled and shot, he rejoins the army at the end of February 1945. Shortly afterwards he is captured by American troops. On April 8, 1945, Cologne was liberated by the American army. He is a POW until September 1945. The same year his son Christoph is born but dies shortly afterwards. The Bölls return to Cologne and, for a short period, live in a half-destroyed house. Heinrich enrols again at Cologne University in order to obtain a ration card; he works as an assistant in the carpentry workshop now run by his brother, Alois. Annemarie has a teaching job at a secondary school and is thus able to provide for the family. 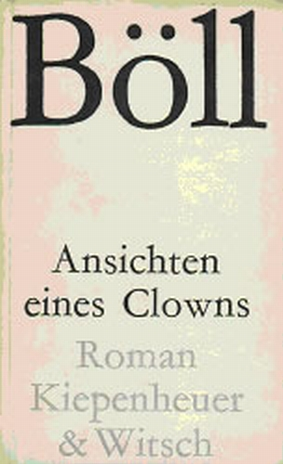 The same year, Böll takes up writing regularly. Initial works are novels such as the unpublished "Kreuz ohne Liebe" (Cross Without Love) and "Der Engel schwieg" (The Silent Angel), published posthumously in 1992, as well as numerous short stories, fragmentary plays, essays and poems. Many of these works draw upon his experience of the Nazi era, the war, and the post-war period. In March, Böll submits his first short stories to magazines and newspapers. On 3 May one of them, "Vor der Eskaladierwand" (Before the Escalading Wall), is published, much abridged, in the Rheinischer Merkur newspaper under the title "Aus der Vorzeit" (From Pre-Historic Times). Böll's son Raimund born. Böll's first publishing contract; publication of "Der Zug war pünktlich" (The Train was on Time). The family is in financial straits as fees from publications are insufficient. Böll seeks a staff position in radio or publishing and thinks of giving up writing. Son Vincent born. For the 1950 census, Böll takes a temporary job with the Cologne city government. A volume of short stories is published "Wanderer, kommst Du nach Spa..." (Stranger, Bear Word to the Spartans We...). Böll is invited to a meeting of West Germany's most important literary forum, Gruppe 47, and is awarded their prize for the short story "Black Sheep". Publication of the novel "Adam, Where Art Thou?". Heinrich Böll's work focuses increasingly on the current problems of the Federal Republic. He writes essays about the political situation, suggesting that moral standards are increasingly being sacrificed to economic, social and political concerns. The novel “And Never Said a Word” is published to overwhelmingly positive reviews. The book goes on to win a number of awards. The Böll family moves into their own house in the Müngersdorf district of Cologne. The novel “House without Guardians” (also known in English as “Tomorrow and Yesterday”) is published. First trip to Ireland. The novella “The Bread of Those Early Years” published. Böll gives his first major public speech on the occasion of the “Week of Brotherliness”, an event organised by the ‘Societies for Christian-Jewish Collaboration’. Böll’s “Irish Diary” is published, parts of which had been serialised since 1954. The short story collection “Murke's Collected Silences” published. The novel “Billiards at Half-Past Nine”, considered to be one of Böll’s major works, published. After the building of the Berlin Wall on 13 August a heated controversy erupts over the role of writers as "the conscience of a nation". Together with 22 other authors, Böll appeals to the UN to move their headquarters to Berlin - East as well as West. Publication of the two stories "When the War Broke Out" and "When the War was Over". Böll's first trip to the Soviet Union. The novel "The Clown" is published. Böll writes increasingly more essays and journalism on contemporary moral and political questions. Publication of the programmatic story "Absent Without Leave". In a number of articles Böll defends East German writer and singer Wolf Biermann against attacks by the East German media. Publication of the novella "End of a Mission". Böll is awarded Germany's most prestigious literary award, the Georg-Büchner-Preis. He is taken seriously ill with hepatitis and diabetes. In May, Böll addresses some 70,000 demonstrators in Bonn during a rally against the passing of new emergency laws. The Czech Authors' Association invites Böll along with Aragon and Sartre to visit Czechoslovakia. In August, Böll travels to Prague where he witnesses the country's invasion by Warsaw Pact troops, bringing to an end Dubcek's attempt at democratisation. Böll acquires an old cottage in Langenbroich, a village near Düren in the Eifel hills, today the location of the Heinrich Böll house. At the inaugural meeting of the Association of German Writers (VS) Böll delivers a speech on "The End of Modesty". 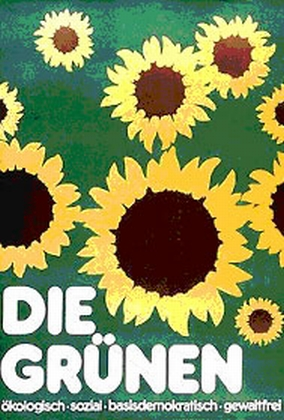 The new West German government lead by Willy Brandt raises Böll’s hope that West Germany will enter a new political phase with policies that put a greater emphasis on ethics, especially regarding relations with Eastern Europe. During the 1972 elections he comes out in support of the Social Democrats. The political situation in West Germany becomes increasingly tense as a result of the emergent left-wing terrorism and the government's overreaction to it. Many conservative politicians and newspapers denounce Böll along with other left-leaning and liberal intellectuals as "foster-fathers of terrorism". Böll is elected president of West Germany's PEN. 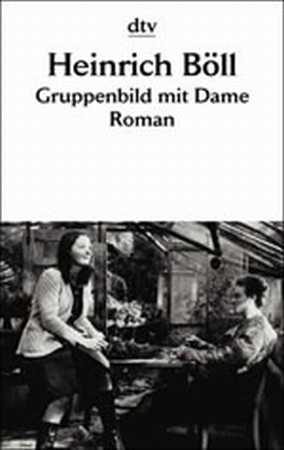 Publication of the novel "Group Portrait with Lady". At the 38th meeting of the International PEN Club in Dublin, Böll is elected president. He organises a public campaign appealing to the US government to drop proceedings against civil rights activist Angela Davis. Heinrich Böll is awarded the Nobel Prize in Literature. "Group Portrait with Lady" is selected as book of the month in the USA. In reaction to the increasing persecution of writers and intellectuals worldwide, Böll appeals to politicians in East and West alike to "finally abandon the hypocritical concept of non-intervention into other countries' domestic affairs." Alexander Solzhenitsyn is arrested by Soviet authorities and, following international protests, expatriated from the Soviet Union. He comes to Germany where he stays with Böll. Publication of the novella “The Lost Honour of Katharina Blum” that deals with the overreaction against left-wing terrorism and the nefarious role played by the tabloid press. Volker Schlöndorff and Margarethe von Trotta film Böll’s “The Lost Honour of Katharina Blum”. Annemarie and Heinrich Böll leave the Catholic Church without, as they stress, ‘falling away from the faith’. Böll’s novel “Group Portrait with a Lady” is filmed and entered into the Cannes Film Festival. An international committee of writers, including Böll, asks South Korea’s president to pardon author Kim Chi-ha who, for years, has been held in solitary confinement for his political stance. Böll comes out in support for the newly created humanitarian organisation "A Ship for Vietnam" that is trying to rescue Vietnamese boat people. Böll is supposed to receive the Order of Merit of the Federal Republic of Germany, yet rejects the honour. In December Böll travels to Ecuador, where, after suffering vascular disease in his right leg, he requires surgery in Quito. After his return to Germany, Böll requires additional surgery. After meeting with a delegation of Bolivian women, Heinrich Böll demands that an international commission investigate the human rights situation in the country. On the 40th anniversary of the capitulation of the Wehrmacht, Böll's "Letter to my Sons - or Four Bicycles" is published. Publication of his last novel “Women in a River Landscape”. In early July, Böll has to undergo renewed surgery. He is released from hospital on 15 July, knowing that he will have to have more surgery. On the morning of 16 July Böll dies in his house in Langenbroich (Eifel). He is buried on 19 July in Bornheim-Merten near Cologne. © Foto: Rene Böll, J. H. Darchinger and others. The copyrights of some pictures are unknown. Please contact us, if you may be the holder of these rights. Heinrich Böll is one of the most important and best-known writers of the Federal Republic of Germany. "Bound by the times and my contemporaries, to what my generation has lived through, experienced, seen, and heard," as he himself wrote, he was the critical chronicler of Germany’s history at mid-century. I really like the stuff which had shared here about the Heinrich boll chronicle. I am sure people will like it.